It’s time to put your maintenance plan on cruise control. And if you own a Volkswagen vehicle that’s a model year 2015 or newer, that can be easy. Because with the Volkswagen Care Program, you have a variety of prepaid scheduled maintenance plans designed to provide you with the peace of mind that comes from fixed parts-and-labor costs on manufacturer-recommended scheduled maintenance. Have a look—these plans help protect your New Vehicle Limited Warranty and can help protect the future resale value of your vehicle by keeping it properly maintained at your local Volkswagen dealer. Volkswagen Care and Volkswagen Care Plus are available for purchase only at participating authorized Volkswagen dealerships in the U.S. Plans may be purchased either at the time of retail sale or lease of a vehicle or at any time before the first scheduled maintenance interval covered under the plan is due. It may be possible to finance the cost of a Volkswagen Care or Care Plus plan as part of your vehicle loan or lease, provided you make that decision at the time of purchase or lease. Consult with your dealership or financing source for details. Volkswagen Care Plus Package may be purchased for model year 2014 or newer vehicles (except for Routan). 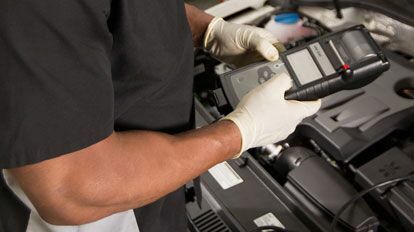 This plan covers the 40,000-mile and 50,000-mile manufacturer-recommended scheduled maintenance, as specified in your vehicle’s USA Warranty & Maintenance booklet. Volkswagen Care Plus Package may be purchased for model year 2018 or newer vehicles. This plan covers the 60,000-mile and 70,000-mile manufacturer-recommended scheduled maintenance, as specified in your vehicle’s USA Warranty & Maintenance booklet.